It creates a culture of fear. Don’t fall victim to that fear. It only takes one person to speak out to get bullying to stop. 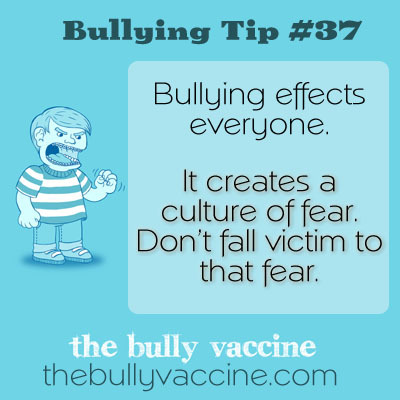 If we fail to speak out, we enable the bully.